Steve Jobs died yesterday at the age of 56. The whole world is mourning the loss of a creative visionary, genius, leader and a lot more. And deservedly so. Iam not going to write about his rich exploits or inventions as numerous articles has been written about him. This article is a tribute to the man who I admire for certain things. Everyone has a lot to learn from Steve Jobs, his life, his philosophy. I read an article on “The Innovation Secrets of Steve Jobs” (McGraw-Hill, October, 2010) which reveals the 7 principles that are largely responsible for his breakthrough success; principles that have guided Steve Jobs for his entire career and, more important, principles you can adopt today to “think differently” about your company, product or service. Passion is everything. Innovation—which simply means—new ways of doing things that improve our lives---cannot flourish unless you are truly obsessed with making something better—be it a product, a service, a method or a career. “Have the courage to follow your heart and intuition. They somehow already know what you truly want to become.” Jobs has followed his heart his entire career and that passion, he says, has made all the difference. It’s very difficult to come up with new, creative ideas that move society forward if you are not passionate about the subject. “Passion won’t protect you against setbacks, but it will ensure that no failure is ever final.” – Bill Strickland. How to do find your passion? Passions are those ideas that don’t leave you alone. They are the hopes, dreams and possibilities that consume your thoughts. Follow those passions despite skeptics and naysayers who do not have the courage to follow their dreams. Principle Two: Put a dent in the universe. This speaks to vision. Innovation doesn’t take place in a vacuum. You need to know where you’re going, what the ultimate destination is, and you need to inspire others, evangelists. Steve Jobs has never underestimated the power of vision to move a brand forward. In 1976, Steve Wozniak was captivated by Jobs’ vision to “put a computer in the hands of everyday people.” In 1979, Jobs took a tour of the Xerox research facility in Palo Alto, California. There he saw a new technology that let users interact with the computer via colorful graphical icons on the screen instead of entering complex line commands. It was called a “graphical user interface.” In that moment, Jobs knew that this technology would allow him to fulfill his vision of putting a computer in the hands of everyday people. Jobs later said that Xerox could have “dominated” the computer industry but instead its ‘vision’ was limited to building another copier. Two people can see the same thing but perceive it differently based on their vision. Steve Jobs set out with a vision to change the world. What’s your vision for your product, brand, and your career? Passion fuels the rocket, but vision points the rocket to its ultimate destination. Principle Three: Kick-start your brain. Creativity leads to innovative ideas. Job believes that a broad set of experiences expands our understanding of the human experience. A broader understanding leads to breakthroughs that others may have missed. Breakthrough innovation requires creativity and creativity requires that you think differently about…the way you think. Steve Jobs creates new ideas precisely because he has spent a lifetime exploring new and unrelated things—seeking out diverse experiences. Jobs hired people from outside the computing profession, he studied the art of calligraphy in college, meditated in an Indian ashram, and evaluated The Four Seasons hotel chain as he developed the customer service model for the Apple Stores. Look outside your industry for inspiration. Principle Four: Sell dreams, not products. Your customers don’t care about your product, your company or your brand. They care about themselves, their hopes, their dreams, their ambitions. Help them fulfill their dreams and you will them over. Principle Five: Say no to 1,000 things. Jonathan Ive, Apple design guru: “We are absolutely consumed by trying to develop a solution that is very simple, because as physical beings we understand clarity.” Your customers demand simplicity and simplicity requires that you eliminate anything that clutters the user experience. Steve Jobs reduced complexity in the Smartphone category by eliminating the keyboard. Principle Six: Create insanely great experiences. “People don’t want to just buy personal computers anymore. They want to know what they can do with them, and we’re going to show people exactly that. Jobs has made the Apple Store the gold standard in customer service by introducing simple innovations any business can adopt to create deeper, more emotional connections with their customers. For example, there are no cashiers in an Apple store. There are experts, consultants, even geniuses, but no cashiers. Apple created an innovative retail experience by studying a company known for its customer experience—The Four Seasons. Apple Stores would attract shoppers not by moving boxes, but by “enriching lives.” The lesson—don’t move “product.” Enrich lives instead and watch your sales soar. Principle Seven: Master the message. You can have the most innovative idea in the world, but if you can’t get people excited about it, it doesn’t matter. Steve Jobs is considered one of the greatest corporate storytellers in the world because his presentations inform, educate and entertain. Steve Jobs thinks visually about presenting ideas, products, and information. Don’t let the bozos get you down. One more thing… Innovation takes confidence, boldness and the discipline to tune out negative voices. “There’s no reason why anyone would want a computer in their home.” Imagine how one young man with big dreams must have felt when he heard the following. Perhaps the ultimate lesson that Jobs teaches us is that innovation requires risk-taking and risk taking takes courage and a bit of craziness. See genius in your craziness. Believe in yourself and your vision and be prepared to constantly defend those beliefs. Only then will innovation be allowed to flourish and only then will you be able to lead an “insanely great” life. 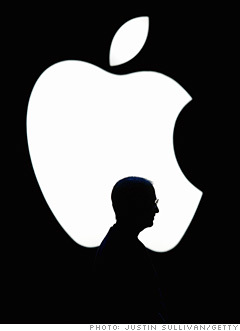 Lastly, a lot many people say Steve Job will be missed. I don’t think so. It is said that every life has its own purpose. And I feel that in his life time, Steve Jobs has taught us manifold lessons and it will be more than enough if we understand & inculcate them in our life. As Steve himself says, “Quality is more important than quantity. One home run is much better than two doubles”, I would say the adage “The quality of a person’s life is more important than the quantity of their life” suits Steve Jobs life appropriately. To wind up, let the words of one of the world’s inspirational figures guide you throughout your lives. Excellent post da.. I guess i almost read the article thru ur post..
@Uday Why??? : Thanks for the comment :) Is the 'Why' your way of innovating??? I think Steve Jobs was a perfectionist. Or at least tried to be one! He went into the last detail of any product he released and was not satisfied until they were just too perfect and too simple. He showed this trait in all his areas of business. Its remarkable indeed, but I bet it involved a lot of hard work and determination.